This is a blow for some in Iran who saw crypto-currencies as a way Iran could overcome problems relating to its banking industry and international sanctions. In February, Minister of Information and Communications Technology Mohammad-Javad Azari Jahromi announced a plan to develop Iran’s own virtual currency. Mr Jahromi’s project was also backed by Iran’s cyber-security authority, which said it would support virtual currencies if they were properly regulated. But the central bank did not agree. At the time, it told Iranian state media that the “wild fluctuations” of crypto-currencies, together with “pyramid schemes”, had made the virtual currency market “unreliable and risky”. 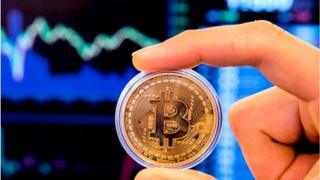 In early April, India’s central bank announced a similar ban on the sale or purchase of crypto-currency. The Reserve Bank of India (RBI) has given banks three months to unwind their exposure to virtual currency exchanges. The price of Bitcoin is currently $8,895.49 (£6,373.75). A $229 iPhone case? Are you kidding?